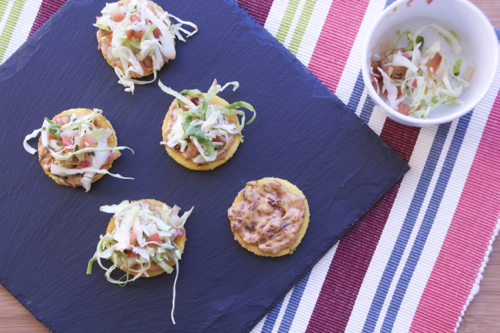 Spice up your Super Bowl Party and impress your guests with these delicious appetizers! Every time I have guests over, I try not to serve the same appetizers that everyone usually eats. The same goes for Super Bowl. I mean, it’s a tradition to have the wings, chips, dip, pizza, salsa and so forth. But it won’t hurt to add some flair to your menu! These cakes bring out the TexMex, are so easy to make, and go great with your array of hors d’oeuvres. Not to mention, they are healthy and vegetarian friendly! 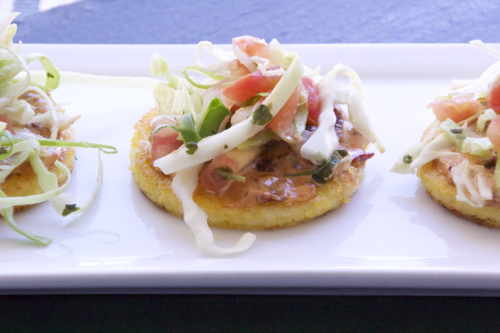 The cheesy polenta with the spicy aioli topped with the crisp cabbage salsa is the perfect blend to this mouth watering treat! Place them on some unique serving dishes and everyone will be impressed! Enjoy! 2. Add 3 cups of water and 1 tsp of salt to a medium pot and bring to a boil. 4. Add the garlic powder, butter and cheese. Continue to stir and cook for another 5 minutes. 7. 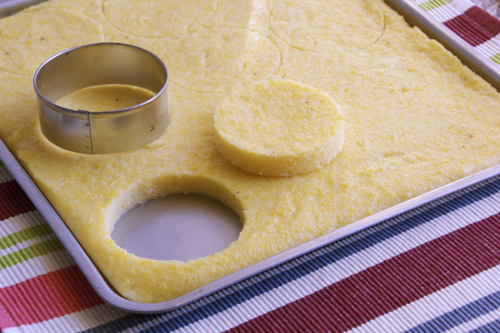 Once cooled and firm, take a round cookie cutter or a cup and cut out round polenta cakes. 8. Heat 1 tbsp of oil in a pan over medium high heat. 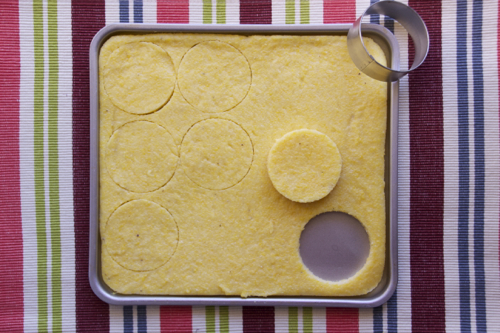 Add the round polenta cakes and cook for 3 minutes on each side until golden. 10. 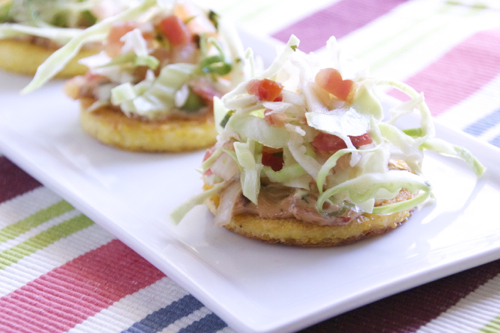 In a mixing bowl, combine the shredded green cabbage and Pico de Gallo. 11. Once the cakes are cooled, top each cake with some chipotle aioli, and the green cabbage salsa. *The mixture will begin to bubble and pop and can burn. **If you are making this ahead of time, allow the polenta to cool then refrigerate until ready to use. 1. 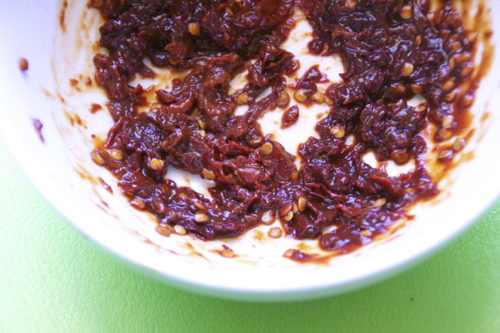 Chop the chipotle peppers or place in a food processor and puree. 2. Place the peppers and mayonnaise in a bowl and combine.